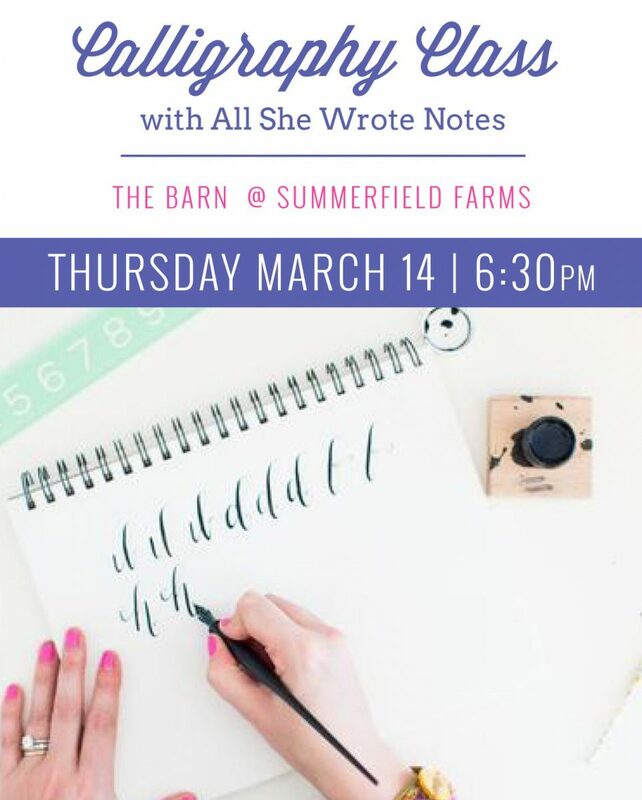 Learn how to create the most beautiful calligraphy in The Barn at Summerfield Farms with All She Wrote Notes! This class includes 2 hours of hands-on instruction from calligrapher Maghon Taylor and a calligraphy kit valued at more than $45. All She Wrote Notes makes calligraphy a party! Maghon takes those old fashioned calligraphy principles and incorporates a modern twist with how to make your own style dance across the page. We will laugh, letter and learn a lot. Cost is $88 per attendee and must be paid for online prior to the workshop.